Thread: Anyone been Magnet fishing ? Last edited by Mickey; 6th March 2018 at 09:09 PM. Re: Anyone been Magnet fishing ? The missus wanted to have a go at it but i'm to tight to buy the magnet, also if she ended up tied to the safe and chucked back in whos fault would that be ? Police divers have found the bodies of a father and son who went missing while magnet fishing. The men are believed to have been trawling the bottom of a canal with a magnet to find metal objects in the water when they died. West Yorkshire Police said their bodies were recovered on Saturday night after an extensive search in the Cooper Bridge area of Huddersfield. The force said it was not treating the deaths as suspicious. A police spokesman said the alarm was raised by a passer-by who noticed personal belongings, including clothing, a mobile phone, a camera and car keys, were on the waterside for almost an hour. He said officers traced a car parked nearby to the Pudsey area of Leeds, where a woman confirmed that her 43-year-old husband and his 19-year-old son had gone out magnet fishing early in the morning. The spokesman said an extensive search was carried out in the area but there was no trace of the two men and police divers were called in. The bodies of the men were found just before 19:30 BST. "The family are aware and inquiries are ongoing into how they ended up in the water," he said. 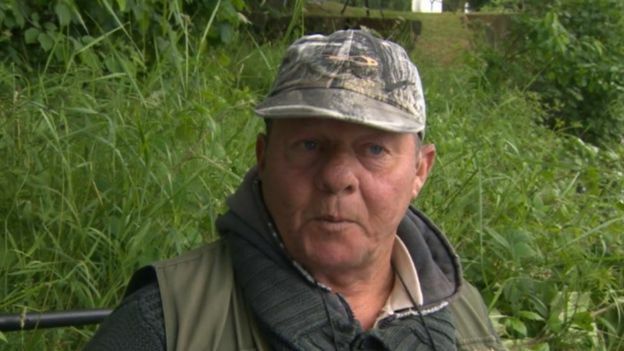 Fisherman Stephen Hydes said he saw belongings, including two jackets on the side of the water on what was the first day of the fishing season. He said there was a length of rope tied to the lock, which went up on the bank. Another man who was bird watching nearby raised the alarm, Mr Hydes added. Hmmm sounds a little suss. i don’t go anywhere without my mobile these days and they left it on the bank for anyone to steal? It Wasn’t someone from here was it? Getting the idea from this thread. Not been but tempted to do so. Not heard anything about it and these last few months it's picked up hasn't it. My lad is wanting to go, so tempted. Think a strong magnet from Amazon is around £40, so price is OK. I gather the vast majority of the time I'll find creamer canisters and construction pole, shopping trollys and lighters, but the fun is in the mystery, right? Magnet fished with my grandkids the spot Mickey's video was done and pulled out the same yellow handled pry bar. Thought responsible magnet fishers took their finds home with them,when I asked him he said he has the same one in his shed,funny that as it's in my shed. Kids loved it and got 12p richer?? Tried it a few times and enjoyed it. Best advice I can give you is wear good protective gloves. We did it on an inner city canal and we pulled out at least 5 or 6 needles whilst we were there.